It's safe to say, Lamat needs no more introduction, his music has had such a significant impact on the trance scene these past few years, it's hard to have missed him. Since his unforgettable debut album 'Master Control', his tracks have been heard on trance floors in all continents. Many dj's have built their sets around the unmistakable magic that is Lamat, and will continue to do so with this latest gem. His fourth full album is finally ready for release. With Dacru Records, Marcos has found a new home, from which he can bring us his take on 'New Horizons'. This fresh breeze can be heard throughout the entire new album. 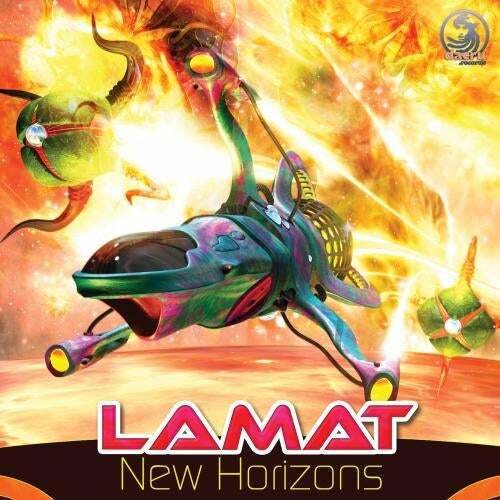 New Horizons is a must for all old and new Lamat fans!